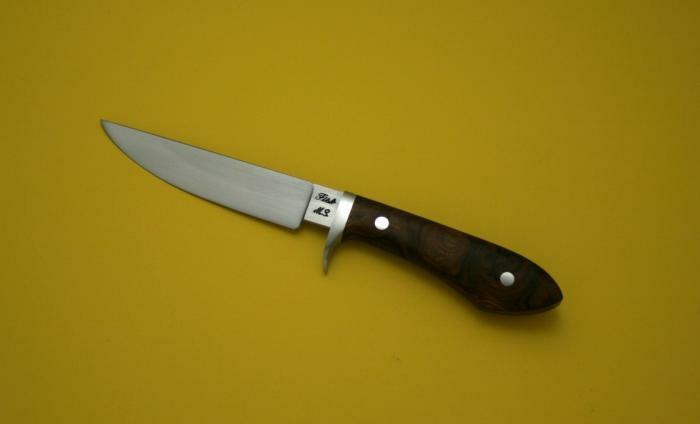 This is the 2013 Micro show $8.00 knife. Each year I offer one of my Sendero's for $8.00 because that was the price of my first knife. This one is shown with the handle material as well as the guard that has a touch of engraving on the face of the guard. I will post up another photograph when finished.